If you’re missing all your natural teeth, you may be concerned about the lengthy time commitment of your treatment options, such as traditional dental implants. But thanks to advances in implant technology, it’s now possible to have your smile fully restored in just one short visit to our office. Just as it is with traditional implants, the first step to your new smile is scheduling a consultation with Dr. Grubb so he can evaluate your oral health. A 3D CAT scan will provide Dr. Grubb with a virtual model of your mouth, which he’ll use to identify areas of unhealthy bone loss and determine exactly where your implants should be placed. This information is sent to our lab technicians so they can work on creating your replacement teeth before the procedure starts. We’ll make sure you know the total cost of your treatment before we begin, as well as all financial options available to you. We also provide all treatments in one office for your convenience. On the day of your surgery, we’ll insert multiple dental implants in your jaw and place your new set of teeth on top. 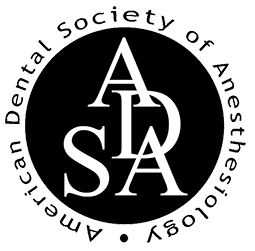 If you suffer from dental anxiety, we’re happy to provide sedation options to ease your stress. Not everyone is an ideal candidate for immediate load implants. In order to qualify for this procedure, you must have plenty of jawbone mass and healthy gum tissue. If you have issues with your oral health, you can still restore your smile with dental implants, but you’ll likely need to undergo the traditional implant process including supplemental procedures. All the other benefits of dental implants still apply to immediate load implants — your new teeth will be natural-looking, comfortable, secure, and fully functional. Your implants will also protect your jawbone from collapsing and your gum tissues from infection. But with immediate load implants, you can enjoy a fully restored smile from the moment you leave our office. Unlike other treatment methods, you won’t have to wait through a long recovery period before receiving your new teeth. Instead, you can show off your new smile right away. If you’re looking to restore a full set of teeth in the shortest possible amount of time, immediate load dental implants are a perfect solution for you. Contact our practice today and schedule a consultation with Dr. Grubb to learn if you qualify for this convenient treatment.